Last summer I bought some tiara bands and bridal combs, with the intention of making tiaras and bridal combs for my online shop. In the end I decided to delay in making them till the spring, so they were put them away, I was already busy at the time, making a new range of bridesmaid jewellery sets. Then I was designing and creating jewellery for the Christmas season, which can be manic, but fun. After Christmas came and went, I got my tiara bands and combs back out and thought about what colours and designs I wanted to make. I ordered some new bead supplies and got to work. 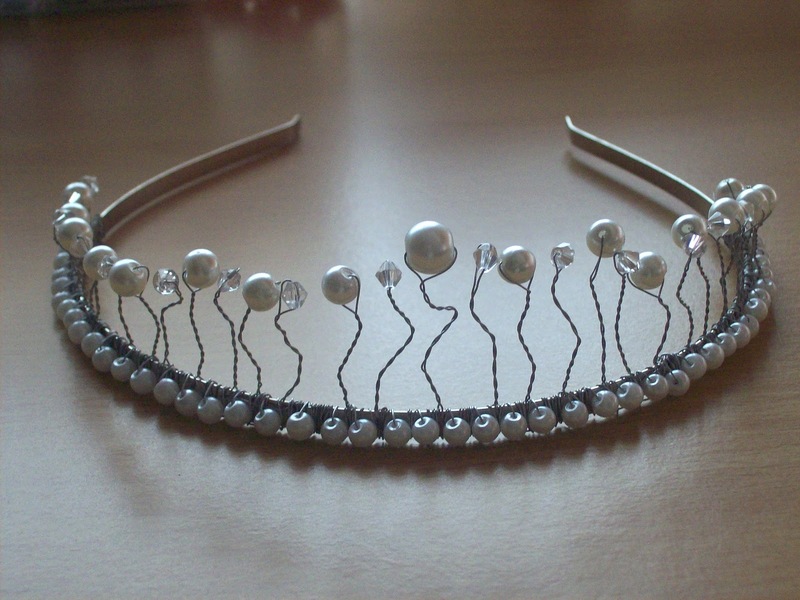 I made three bridal combs, which you can see in my previous blog and I started on the tiara. Did I want to go simple and elegant or dramatic and colourful for the tiara, well as this was my first tiara creation, I went for the former. I used 6 mm white glass pearls and clear crystal bicone beads. I threaded on each bead and attached them to the band, using wire wrapping techniques and using 2 feet of 0.4mm silver plated wire, in stages. I've just finished adding the bead stalks. 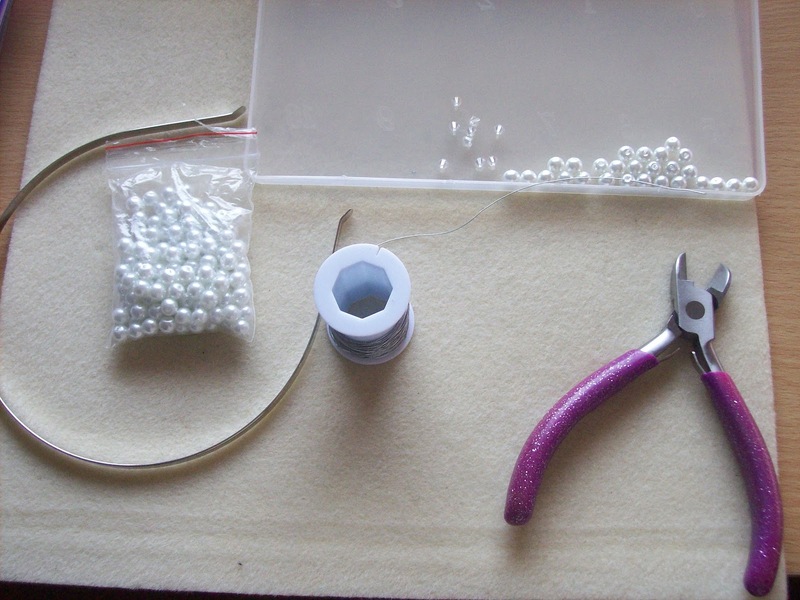 Once the stalks had been added, I started adding 4mm white glass pearl beads to the band. 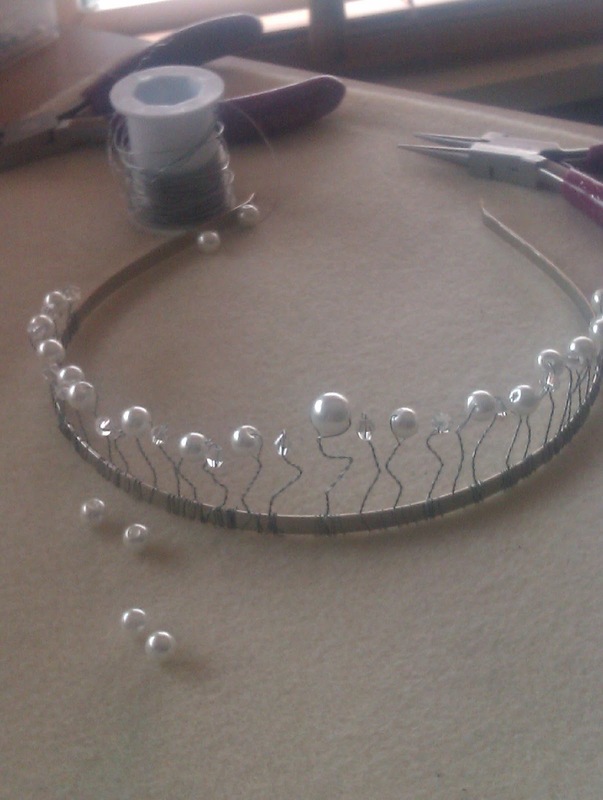 Here is the completed tiara, I think I did a good job on my first attempt in making a tiara. I'm looking forward to making the next one, not sure of the style or colour theme, but I'm working on it. 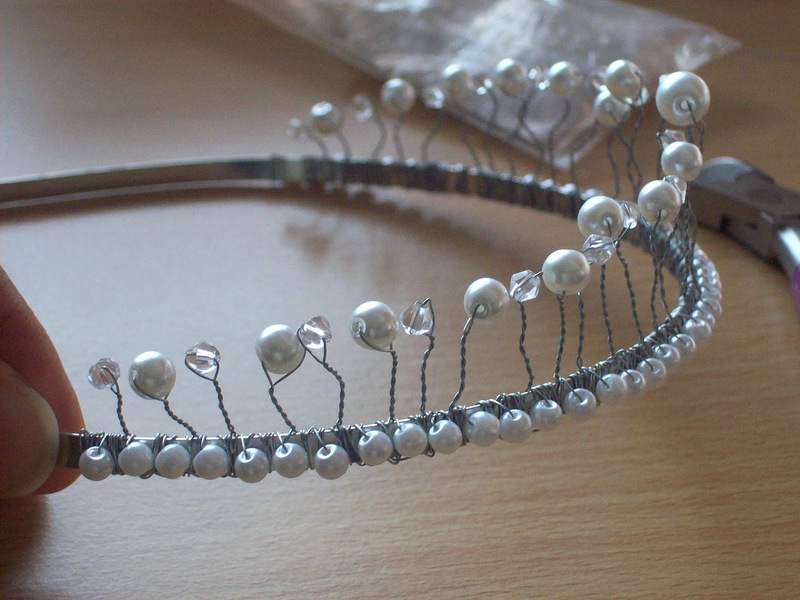 This tiara will be added to the wedding and bridal section of my shop at www.michelleshandcraftedjewellery.com in March, together with the new bridal combs, that I have already made. If you would like to see the other bridal items and my handmade jewellery and accessories on my website, click the link above. I'm off to do some sketches, bye for now.